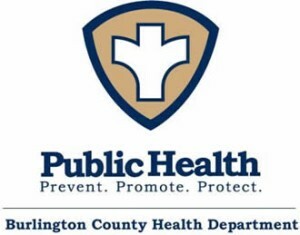 The Burlington County Health Department will start providing seasonal flu and pneumonia vaccines to county residents starting in September. Clinics are currently scheduled throughout the county through December. Residents who wish to register for clinics in advance can do so by visiting the Health Department’s website pubhealth.co.burlington.nj.us/public/. Walk-ins are also welcome. Those 65 years and older, children under two, and those with weakened immune systems have a higher risk of experiencing complications from the flu, but an annual seasonal flu shot is recommended for all residents aged six months and older by the Centers for Disease Control and Prevention. Seasonal flu is a contagious respiratory illness caused by flu viruses. It spreads between people and can cause mild to severe illness. In some cases, the flu can lead to death. In the United States, flu season occurs in the fall and winter. Seasonal flu activity usually peaks in January or February, but it can occur as early as October and as late as May. For the vaccine to provide full protection against the flu, it takes about two weeks after vaccination for antibodies to develop in the body. Getting vaccinated early in the fall helps to reduce the chances residents may get sick the flu before the vaccine is able to provide full protection. It can sometimes be hard to tell the difference between a bad cold and the flu, your primary care provider may be able to test you within the first few days of symptoms in order to determine if you have the flu or not. Symptoms of the fly include a 100F or higher fever or feeling feverish, a cough and/or sore throat, a runny or stuffy nose, headaches and/or body aches, chills, fatigue, nausea, vomiting, and/or diarrhea (most common in children). For more information on the flu, please contact the Burlington County Health Department at (609) 265–5533 or online at www.co.burlington.nj.us/health. Additional information can be accessed online at www.cdc.gov/flu or www.flu.gov. The Burlington County Health Department’s Raphael Meadow Health Center is located at 15 Pioneer Blvd in Westampton within the county complex.